This is one of my most cherished pieces of jewelry. The photo doesn't do it justice. 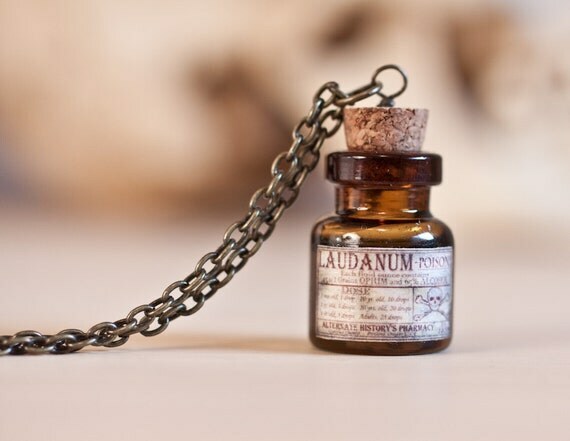 I'm not exaggerating when I say that almost every single time I wear it, strangers approach me and their hands unconsciously reach out to pluck it from my neck to examine it closer. 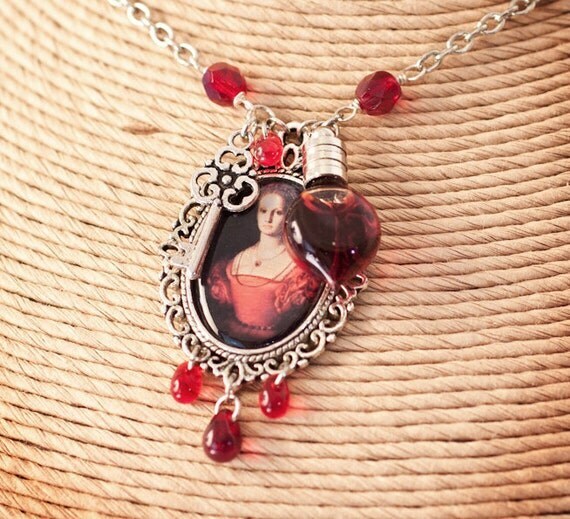 Now that I've written that, it sounds really creepy but it's completely understandable in the moment; the necklace is that gorgeous. 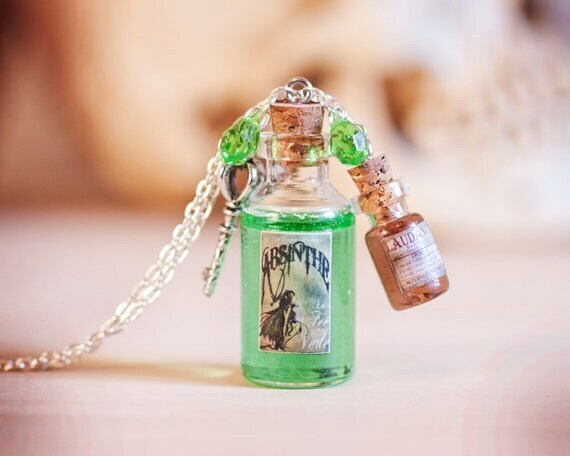 Of course, it wouldn't be very nice of me to wax poetic about my one-of-a-kind necklace from Etsy if there wasn't a way for you to have one, too. 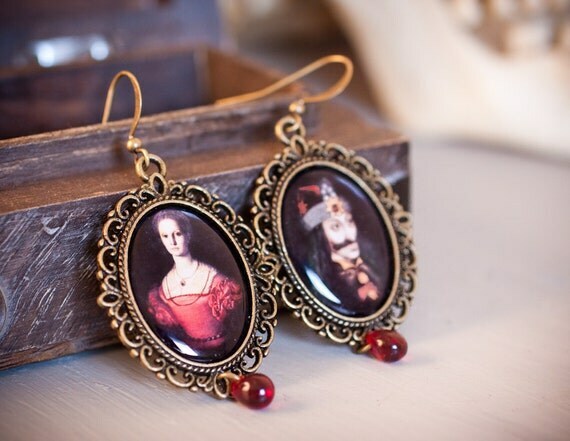 Not to fear, dear reader, Alternate History has more beautiful steampunk jewelry as well as other dark and mysterious gothic and Victorian pieces so that you, too, may experience the weirdness of random people fawning over your neck. 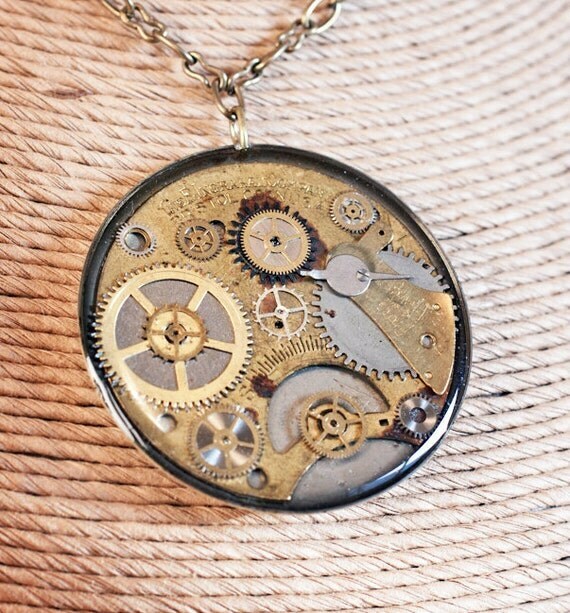 Love the clockwork necklaces! Putting it on my wishlist. Oh good, Kindle! Trust me, they're INCREDIBLE in person. The way the light refracts through the resin makes it look as if it's almost glowing. 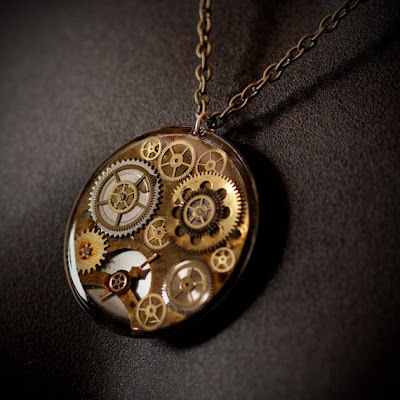 Most people that come up to admire it haven't even heard of steampunk. They just love the look. 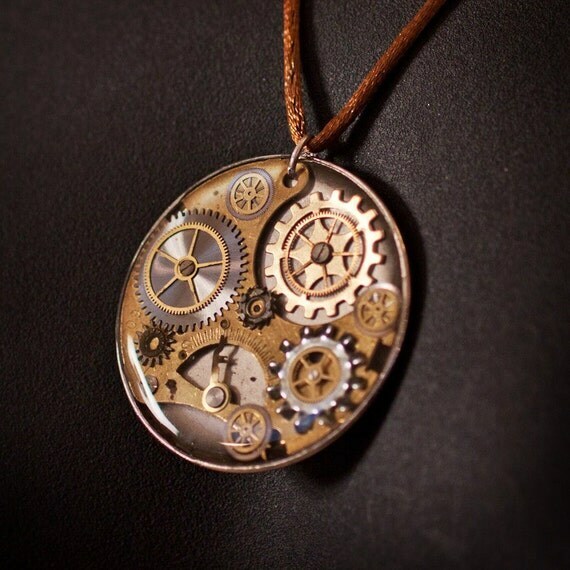 I've just sent my husband an email, gently suggesting the clockwork pendant as a Christmas gift.